Paragon’s Migrate OS to SSD is just what you need. Our handy intuitive wizard performs fast and safe Windows migrations to new storage devices (HDD or SSD) and even downsizes to smaller capacity drives, thanks to advanced new data exclusion capabilities. You can transfer a live system with no impact to your work, and have your partitions automatically aligned in the process if needed. Add Your Voice And Experience To Paragon Software’s Innovative Solutions! Today we are happy to announce the Early Adopter Program (EAP) launch and invite you to take up the new role as EAP-member! As part of the program, you’ll have access to the newest solutions and the opportunity to provide suggestions on the features of new solutions/components before they’re released, giving you a say in how the final solution turns out. You’ll also benefit from a dedicated EAP Paragon expert who’ll assist you during installation and updates, and throughout the program. Posted on September 29, 2010 Author Ksenia SchevjevaCategories UncategorizedLeave a comment on Add Your Voice And Experience To Paragon Software’s Innovative Solutions! Paragon’s Universal File System Driver (UFSD) technology has been chosen to provide high-performance, cross-platform read/write access for the latest PLX® network attached storage (NAS) products. UFSD technology enables PCs and servers to be OS-independent and achieve high-performance network storage access and file sharing. Furthermore, with Paragon’s UFSD-based NTFS for Linux, users will be able to attach and have full access to their Windows®-formatted external hard drives via PLX-based platforms. Compatible with PLX storage controller and system-on-a-chip (SoC) families, Paragon UFSD technology is available today for products such as PLX’s NAS 7800 SoC family – the industry’s highest-performance, next generation of consumer-friendly NAS solutions. Social appreciation week rounds off with the real joy and commitment you gave us! Thanks for picking up the news and brightening up the WEEK with your RT-s and SHARE-s – we are lucky to be you devoted Fan TOO! Keep in touch to let us add some pleasure to your future Weeks, Working Days and Weekends as well with the BEST OFFERs from Paragon Software! Hope you’ve enjoyed the WEEK’s Offers and always happy to see you as a Friend on our Facebook and Twitter pages. Become a part of Paragon’s “Social Appreciation Week”: Learn about the system migration tips to new high-capacity drives! The increasing popularity of the latest high-capacity drives, along with the growing number of solid state drives (SSDs) for home and small business users make system migration concerns relevant and important. This article describes some issues and their best solutions and is intended to help users perform system migrations using simple, fast methods. The majority of system migrations are performed when computer hardware is upgraded or replaced, with most users opting for the now affordable high-capacity drives. Though you can preserve the current size of your partitions during a migration to a larger HDD, it makes sense to enlarge some of them proportionally. To migrate up – you could copy all partitions one by one and then change their size manually, or you can perform complete migrations in one step. Paragon’s Hard Disk Manager or Drive Copy includes tools that automatically change partition size according to optimal parameters during the migration. SSDs have become more and more popular with netbook and notebook users, partly due to some important advantages when compared to traditional hard disk drives: better access time and reading speed parameters, immunity to physical shock, and smaller dimensions. However SSD’s are still expensive, especially models with high capacity. This factor plays significant role for a new owner, as they may be forced to purchase a SSD with a smaller capacity than the previous HDD had. As SSDs are perfect for storing system and applications, and because laptops can contain only one internal storage device, the option of resizing a system partition down is quite useful. For example, your notebook has a 250 GB hard drive with two 120 GB partitions, and you want to add a SSD. You purchase a 50 GB SSD and want to transfer the important system and core applications to that drive, and store unnecessary data on removable media. 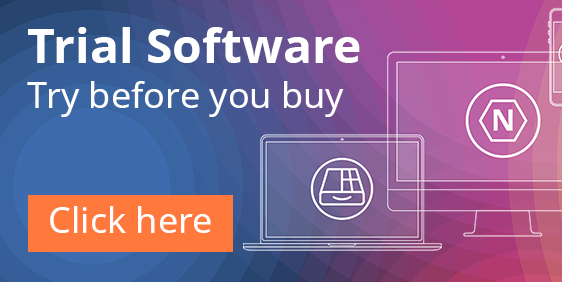 Migrate the entire software environment by copying all partitions to the SSD, or transfer the single system volume with Paragon Hard Disk Manager or Drive Copy. The introduction of affordable 3TB hard disk drives have made them a popular option for system upgrades. However, using high-capacity drives as system drives have one major drawback: traditional MBR partitioning schemes do not work with HDD bigger than 2TB. It is not possible to add a record volume beyond the 2TB limit. The answer is to use a GPT partitioning scheme, which does not have this limitation. This issue does not affect system migrations to 3TB HDD if Windows was originally installed on the GPT volume. But if the OS was installed on a traditional MBR volume, after the migration to a 3TB HDD, existing tools yield an unbootable OS, and/or inaccessible disk space beyond the 2TB limit. Paragon Software has developed a workaround method for MBR OS migration to 3TB drives. A special driver addresses the remaining disk space beyond the 2TB limit and preserves the boot ability of the OS, even if it was previously installed on a MBR volume. You may want to exclude specific data during migration, for example – old documents, temporary files, or media files. You can copy a partition with help of any ordinary cloning tool and then search for this data and delete it. Or, you can delete redundant data first and then copy the partition. The main drawback of these methods is the tedious manual work. Paragon Hard Disk Manager or Drive Copy can automatically exclude these files and folders during migration. You can set filters and the program will perform these tasks without your assistance. You can also transfer the system to a drive with less capacity than the original volume due to the exclusion of redundant data. The introduction of the latest HDDs and SSDs has created a new problem with volume alignment caused by changes in sector size. By changing the sector size from 512 bytes to 4 kilobytes, some traditional methods of disk partitioning have become obsolete and actually harmful. Unaligned partitions cause overall performance decline on new HDDs/SSDs. The lifespan of SSDs can be significantly reduced as a result of many redundant read/write operations caused by unaligned partitions. Using proper migration tools to copy volumes eliminates these problems. Paragon’s Migrate OS to SSD component (request the beta version) is alignment aware software that automatically places partitions according to defined 4K sectors, leaving system performance and SSD reliability unaffected. Microsoft Reserved Partition (MRP) is a special volume which Windows 7 may create during installation. It contains important data for the system boot and recovery and should be always present on the hard disk drive with the operating system it was created with. Paragon Migrate OS to SSD component treats this volume properly and places it intact on a target HDD/SSD so that neither important data nor system boot ability is affected. You cannot copy volumes with a running operating system or application, or with opened files. There are two options for this scenario: stop the OS, all applications, restart the computer and copy all data to bootable media and a special environment. Or, use a tool which can copy volumes from a running OS with help of special drivers and technology. Paragon’s Migrate OS to SSD component uses hot copy technology to instantly copy any volume regardless if any open files/applications are running. You can perform system migrations without restarting your system and use this tool to backup data. Posted on September 22, 2010 October 5, 2010 Author Ksenia SchevjevaCategories UncategorizedLeave a comment on Become a part of Paragon’s “Social Appreciation Week”: Learn about the system migration tips to new high-capacity drives! For a limited time only, Paragon Software is offering a 50% reduction on all owners of HFS+ drivers who upgrade to Paragon HFS+ for Windows 8. Paragon HFS+ for Windows is the industry’s fastest two-way solution, transferring files between Windows and Mac at a rate higher than native HFS file-system performance. Paragon’s HFS+ for Windows leads the industry in being the only solution available providing full read-write access to HFS+/HFSX partitions on any type of disks (APM, GPT, MBR) and for most Windows versions, including Windows XP (32/64), Vista (32/64), 2003 or 7 (32/64) edition. Once installed, Paragon HFS+ for Windows automatically enables the use of Mac-formatted partitions in Windows systems and applications. Being the fastest and the most stable HFS+ driver on the market, Paragon’s HFS+ for Windows easily extends the boundaries of Microsoft Windows scalability and interoperability! Paragon HFS+ for Windows has some major advantages over competitive products. Paragon Software Group now offers its new highly rated solution to round out Paragon’s comprehensive line of backup and recovery products, meeting the needs of home PC users in data disaster recovery and system migration. Backup & Recovery 10 Home is the new easy-to-use, feature-rich data backup and recovery software for all types of home PC users, from the most novice to the most advanced – meeting all data safety needs in the home environment. Ideal for comprehensive security of your home PC, this solution quickly backs up documents, media files, emails and all other valuable data without additional configurations. Backup & Recovery 10 Home has a very comfortable, simple user interface with special wizards that ensure an uncomplicated experience, even for novice users. The good news is Intel-based Macs running Mac OS X can now operate Windows and Linux systems under one roof. Of course, new technology breakthroughs often come with new challenges. The top seven of these challenges users may face when leveraging dual-boot systems on your Mac are listed here, along with some convenient solutions. Apple released its famous utility for dual-system configurations on a Mac – Boot Camp, which shrinks HFS+ volumes in Mac OS X and prepares a partition for Windows right alongside. One problem with Boot Camp is that you cannot resize these partitions later. If free space on one of the partitions is reduced to critical levels and other volumes still have a large amount of unused space, you get into trouble. The solution for this situation is to relocate space between volumes with Paragon’s CampTune utility. CampTune rearranges free space between HFS+ and Windows partitions and shrinks existing volumes to free unallocated space on a hard disk, and create new partitions without the need to use Boot Camp at all. Apple Boot Camp does not support the creation of NTFS volumes because Mac OS X does not have the appropriate NTFS driver. Since Windows Vista and Windows 7 can be installed only to NTFS volumes, you will have to reformat this partition during the installation. An easy alternative is to use Paragon CampTune from the beginning: resize the primary HFS+ volume, create second partition, format it as an NTFS volume and install Windows directly. Apple’s Mac OS X operating system has limited support for NTFS volumes; the NTFS driver in Mac OS X can read data only. You cannot change files, copy them to NTFS volumes, create new files, or NTFS volumes – all significant limitations. However, you can easily bypass these problems with Paragon’s NTFS for Mac OS X driver. It has none of these limitations and provides the same level of NTFS volume compatibility for Mac OS X as it does for regular HFS+ volumes. You can easily manage data on any NTFS volume; create files and folders, and copy data between HFS+ and NTFS partitions. The driver adds formatting support to Mac OS X for NTFS file systems and is accompanied by set of utilities for NTFS volume management, checkup and repair – effectively removing boundaries between two incompatible yet universally used file systems. The reverse situation: you need to access HFS+ volumes in Windows. Though Apple Boot Camp ships with an HFS+ for Windows driver, it performs read-only operations; there is no write ability with Mac OS X volumes under Windows. This drawback is easily resolved with Paragon’s HFS+ for Windows, which gives users access to HFS+ volumes on read and write levels with no limitations. You can even access content on an HFS+ formatted iPod. Imaging is still the most affordable and robust way to secure computer data. Unfortunately Mac OS X backs up only HFS+ volumes, leaving Windows with dual-system configurations unsecured. You can permanently lose all of your data unless you have a Windows-compatible backup solution. Paragon’s CampTune and Paragon’s Drive Copy for Mac can secure the entire dual-system configuration. CampTune creates traditional images of volumes or entire hard disks, Drive Copy can copy them to other disks. In case of an emergency, you can restore the previously created image or copy all your data back to its original state. You do not have to change the factory configurations on your Mac for a Windows Installation, or change it back after a Windows de-installation. Just migrate your Windows-based environment to a virtual machine and run it anywhere, including on your Mac. You will need to use one of Paragon’s products that support P2V technology, for example Paragon Go Virtual for Windows which is easily run in VMware Fusion on your Mac. Mac OS X users may also find the need to use the OS in special circumstances, for example: software developers testing their applications or home users making offsite copies of software environments for security or mobility purposes. The solution for these situations is Virtualization, which makes clone of Mac OS X with all software and data. Paragon Go Virtual for Mac OS X is the best solution for Mac OS X migration to a virtual machine, which can now be run on almost any Mac. You can easily transfer any software on your Mac to a virtual image, then use it on other Apple computers, perform tests with software or run unknown applications. We invite you to take part in our beta testing program. Please, fill the form below, read carefully Paragon Software Agreement for beta testers and submit your request at http://www.paragon-software.com/support/betatesting/betatesting.html and we will send you our latest available beta versions of the software.